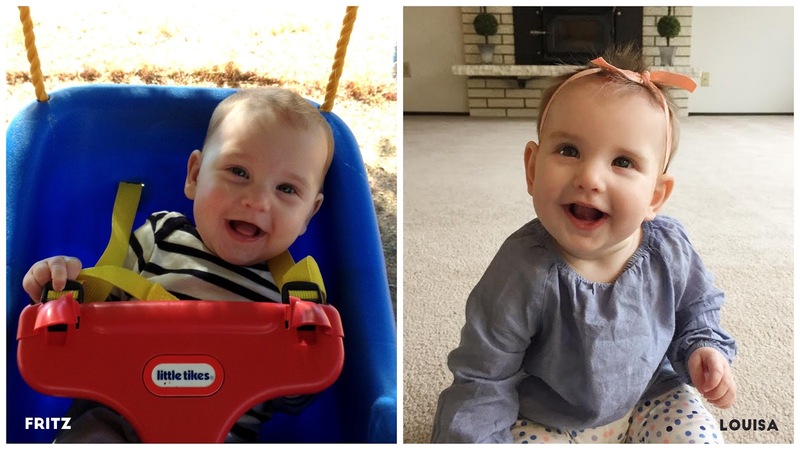 I know I've already blogged about this before, but I was comparing these two pictures of Louisa and Fritz yesterday and was shocked (but, not really) at how identical they look! Do your kids look like each other? This is trippy! And also, I want to just reach into the screen and hug baby Fritz again! I feel so sad that my babies are growing up and then I think about how fun it was to play Pictionary with William last night for Family Night. He really gets it now and even drew some really creative stuff! This next phase is pretty fun too!